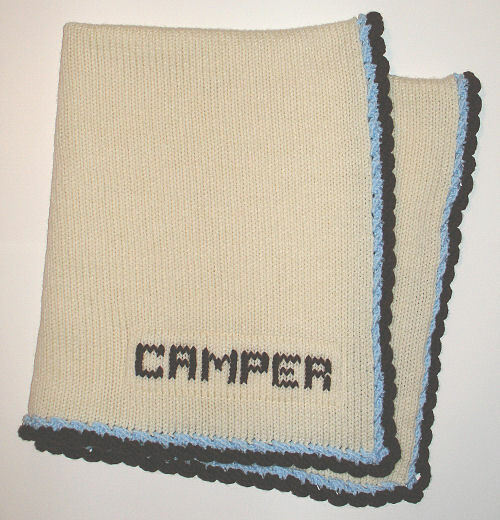 This simple design makes an attractive knitted baby blanket, which can take on very different looks depending on the colors chosen. I usually knit it in three colors that repeat in the crochet edging. With twelve blocks, however, you can use any number of colors you would like! 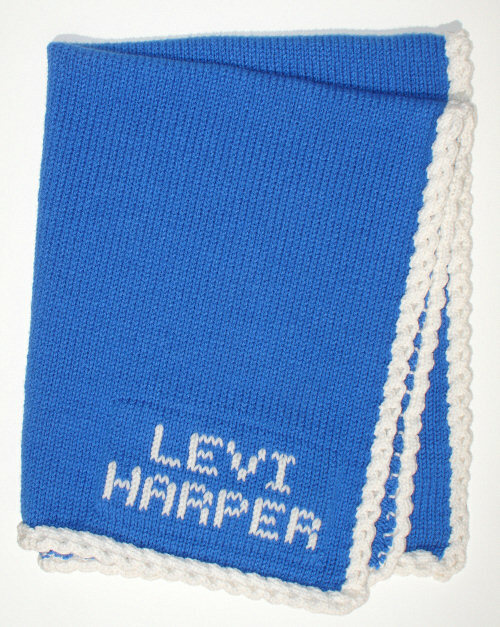 Since baby blankets are subject to various types of soiling, I use a durable acrylic yarn for this design. It can be machine washed and dried many, many times and still look great. There are no holes or lacy sections in this knitted blanket, so baby’s fingers will not get caught. The trim is a firm crochet edging, worked in two or more colors to create a beaded effect. I have also done solid-color variations of the color-block design. 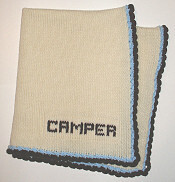 They can be done with the same crochet edging, or a scalloped- type trim as seen in the blankets for Camper and Levi. This size blanket works quite well in a crib. It is also big enough to easily wrap around baby while moving to and from heated areas. I can easily make it smaller to work in a car seat, or as a receiving blanket. Just let me know! 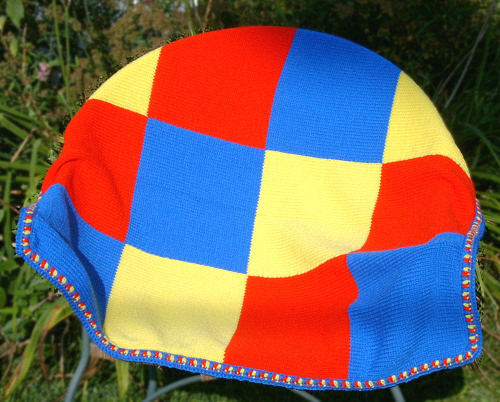 I have knitted many of these as gifts for a new baby. Some choose colors to match the baby’s nursery, some choose colors to reflect the baby’s gender, and some choose colors to convey a particular mood.